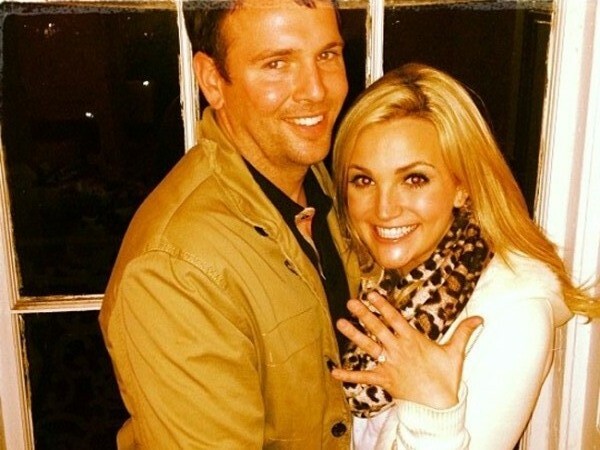 Jamie Lynn Spears is getting married – today! Jamie Lynn Spears is reportedly getting married to her fiancé James Watson after she obtained a marriage licence earlier this month. Jamie Lynn Spears is reportedly getting married today. The 22-year-old actress obtained a marriage licence from Tangipahoa Parish Clerk of Courts in Louisiana earlier this month, and looks set to tie the knot with her fiancé James Watson sooner rather than later, according to E! News. The couple, who have been engaged for a year, filed for the document on March 5 and have 30 days from the date of issuance to get hitched before they have to apply for a new licence. The loved-up duo have remained tight-lipped on their wedding plans, but Jamie teased in January that her big day was edging nearer after she posted a picture on Instagram of her shopping for a bridal dress. The blonde beauty announced her engagement on Twitter by posting a picture of a stunning diamond sparkler on her ring finger. This will be Jamie's first marriage, but her second engagement after her ex-boyfriend Casey Aldridge also popped the question in 2008 before their on/off relationship ended for good in 2010. Jamie also has four-year-old daughter Maddie with Casey. Meanwhile, Jamie's sister Britney is also planning to tie the knot with her boyfriend David Lucado after it was reported last week she had her eye on getting married at Elvis Presley's former home, Graceland - which is now a museum - in Tennessee.